Are you afflicted with kinesthetic connection? Do you still like to write or draw with a pen or brush on paper? Do you get an oxytocin hit from feeling the feedback of the paper through your mark-making tool? We have help for you. The only cure is to get closer to that connection. Make Your Mark gives you the means of making your own writing, drawing, painting tools. 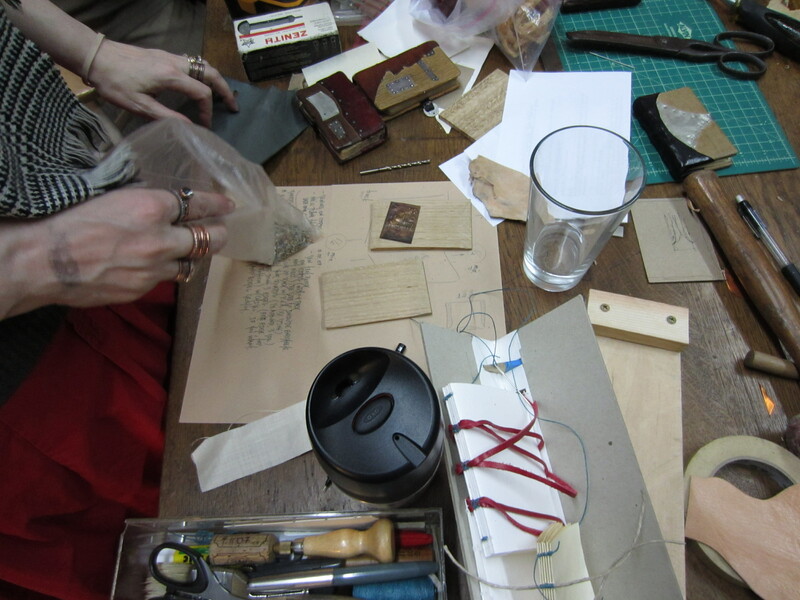 In three hours you’ll learn to make a quill pen, a reed pen and a soda-can folded pen (modified ruling pen). You’ll also get the chance to play with these tools with different paper and media – ink, gouache or watercolor. Once you know the ancient (anything older than last year is ancient, right?) 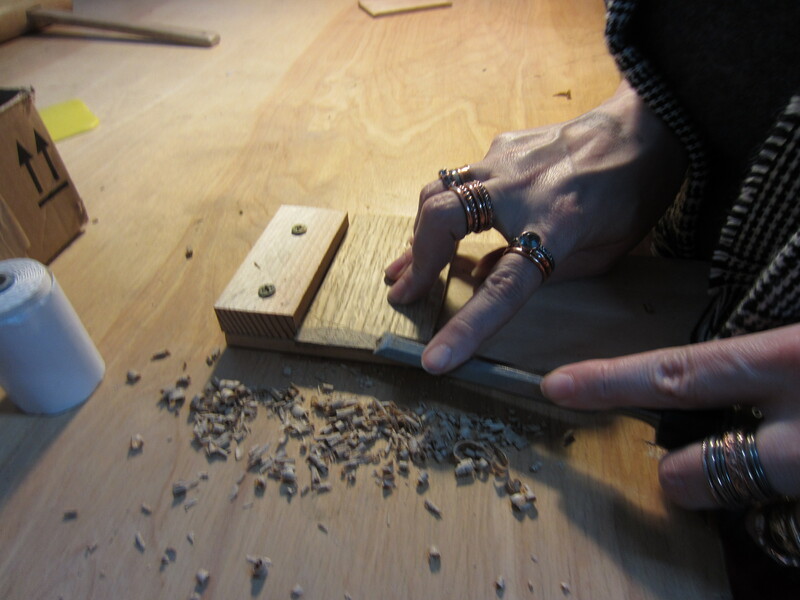 ways of making your own tools, you’ll have the means to connect even more with your work. Saturday, June 18, 2016. 1:00 – 4:00 p.m.
Feathers and bamboo sticks if you want to bring them. 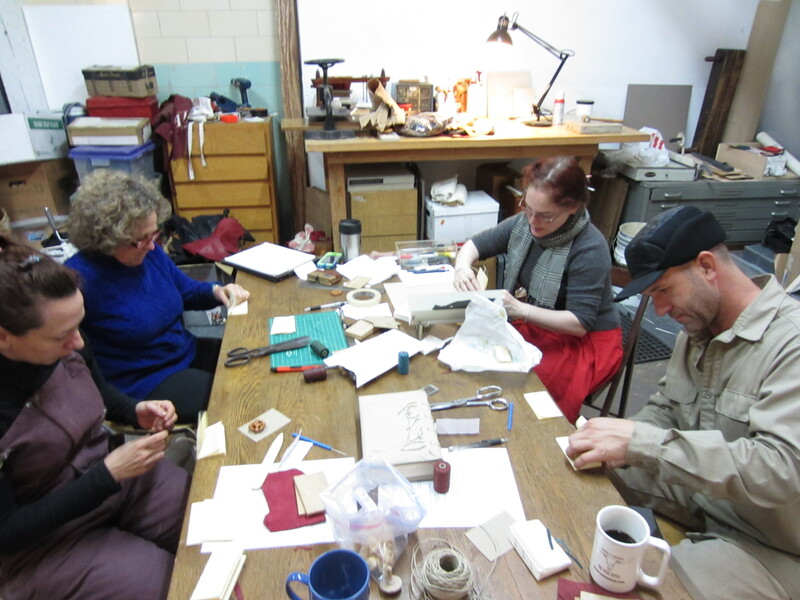 Four people showed up for the Medieval Pocketbook and made steady progress throughout the day. The text block consisted of six signatures totaling 96 pages. They folded, punched and sewed on cords. When that was completed, they pasted up the spine and set the text block aside. 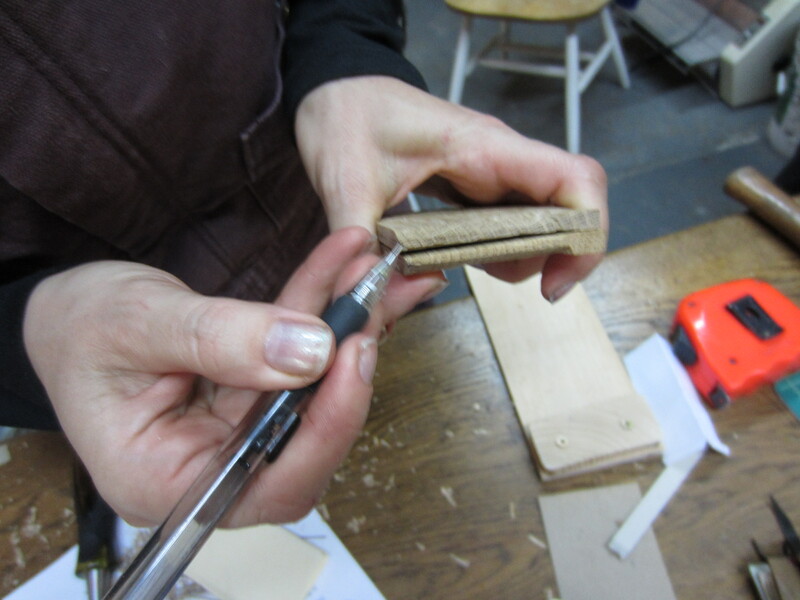 The next challenge was to take wooden boards and shape them with a chisel. 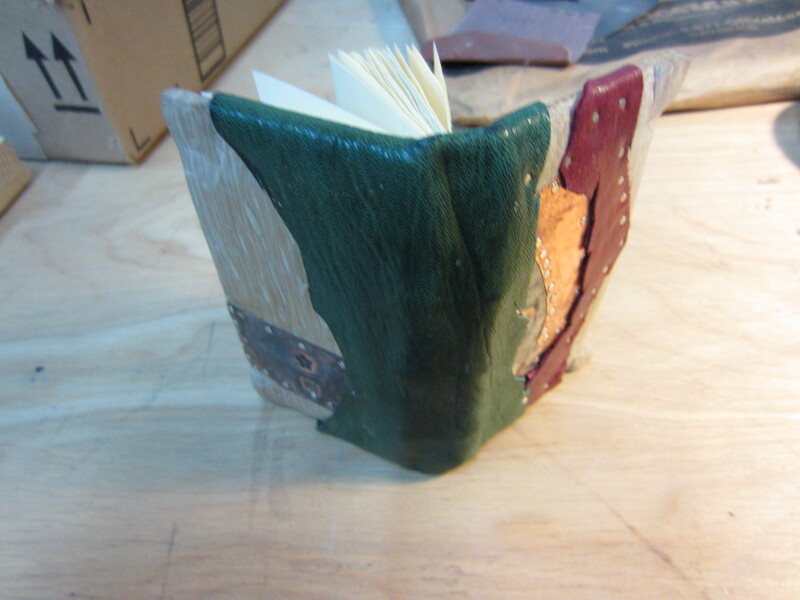 The shaping is designed to keep the book from being too heavy and remove edges that can hurt the owner or get damaged in use. 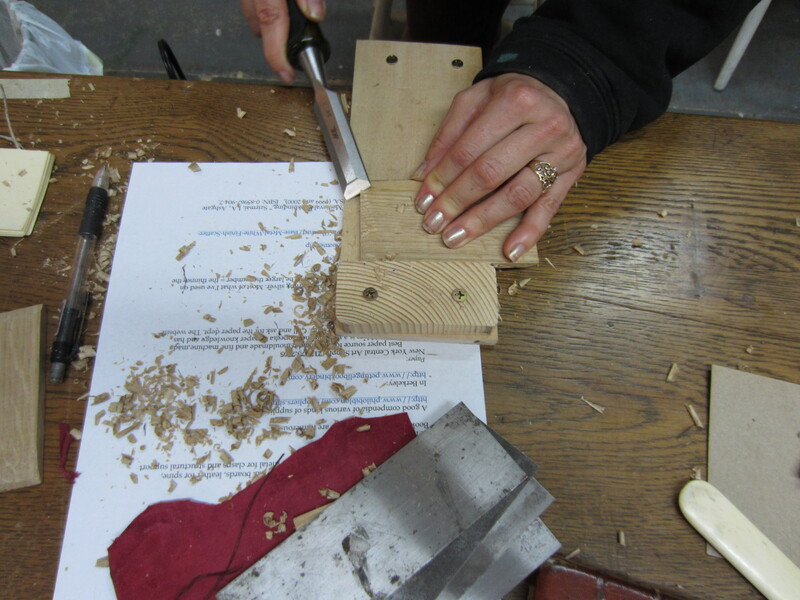 Two students had never used a chisel before, so they were excited to develop some skill in using this tool. 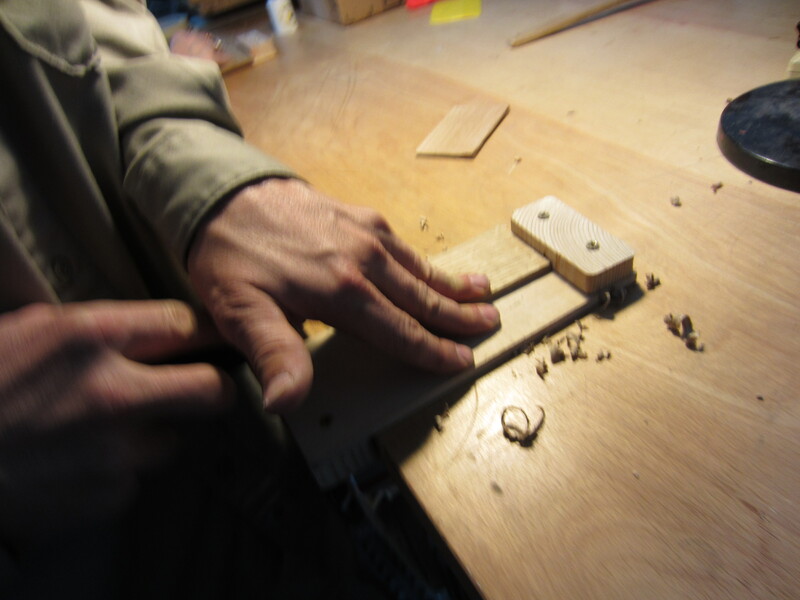 Once the boards were shaped, they drilled the boards to accept the cords and cut a channel for the cords to lay in. 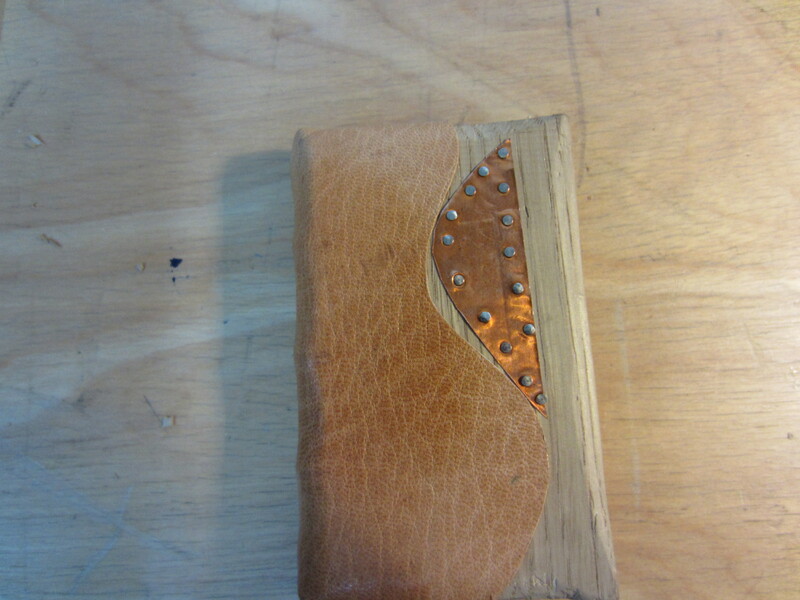 A quick lining of the spine with linen helps to consolidate the connection of text block to board attachment. 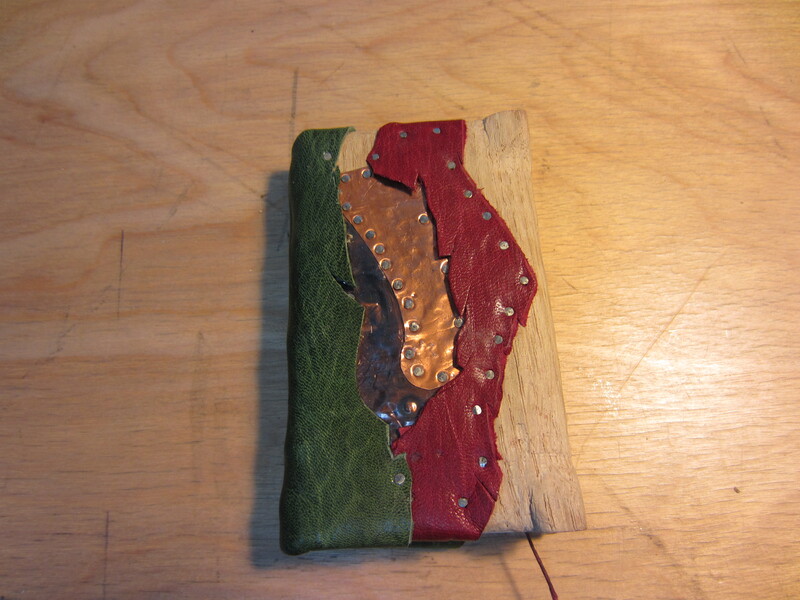 They chose leather and decided about metal decoration next. 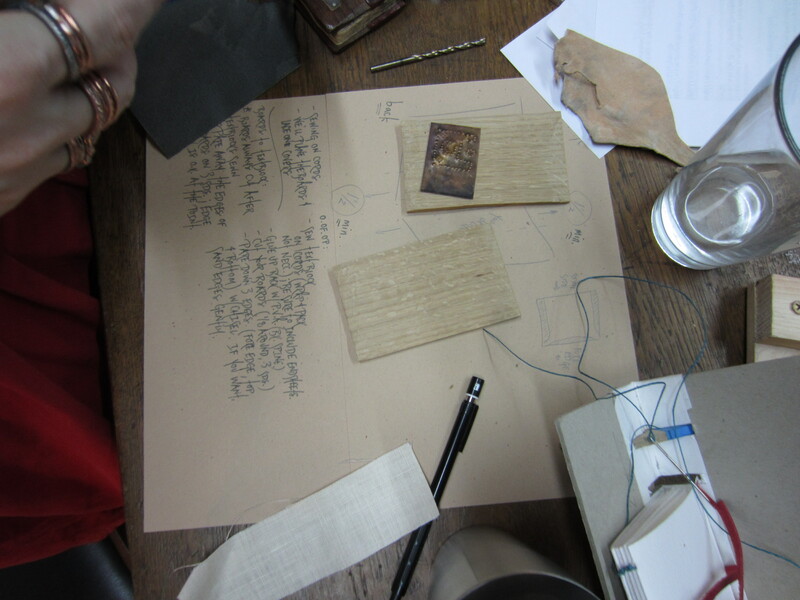 In some instances, leather was applied prior to metal, and in others, metal went on the boards first. As the afternoon wound up, the books were completed to the level each student wanted. (One student wanted to make an exposed model to remind her of the structure). 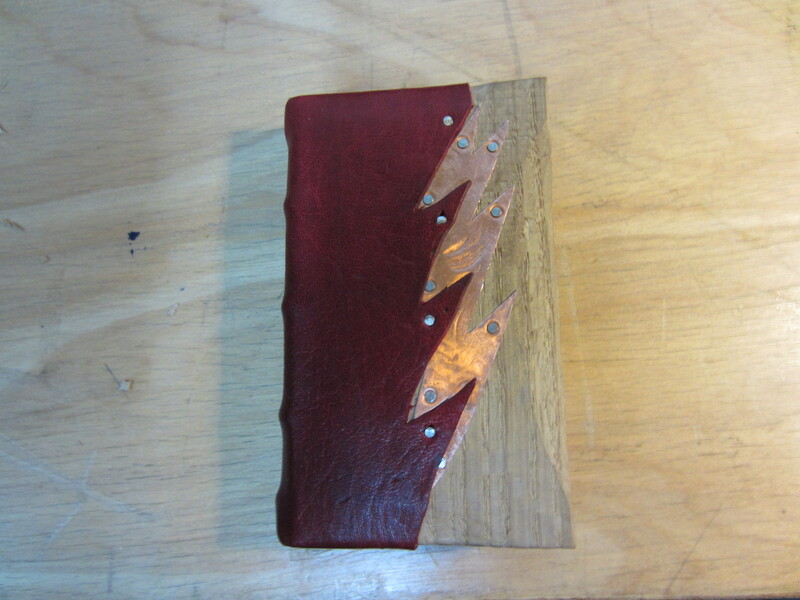 Making something from paper, thread, wood, leather and metal gives one insight into the mechanics of the reading machine called “book” and it continues to enthrall the craftsperson that makes one. I’ll be doing this again on February 9th, for those that couldn’t make it last Saturday.